After skipping the 2016 model year, Nissan’s full-size, 8-passenger Armada SUV returns with a new design, more power, and numerous added features. 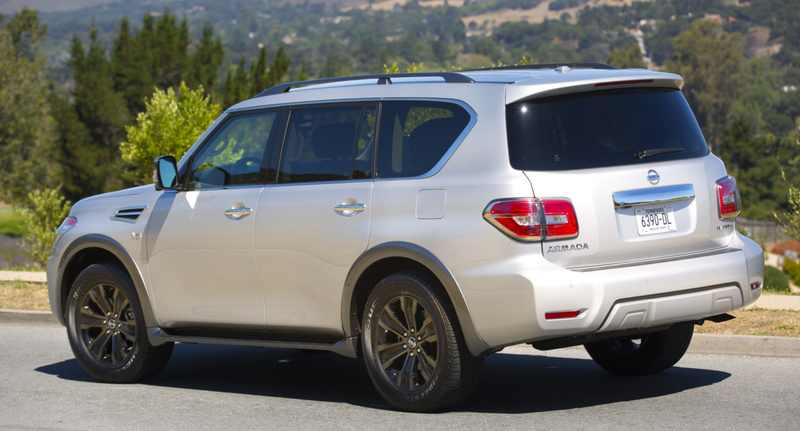 The 2017 Armada is due to go on sale later this month at a starting price of about $45,400. 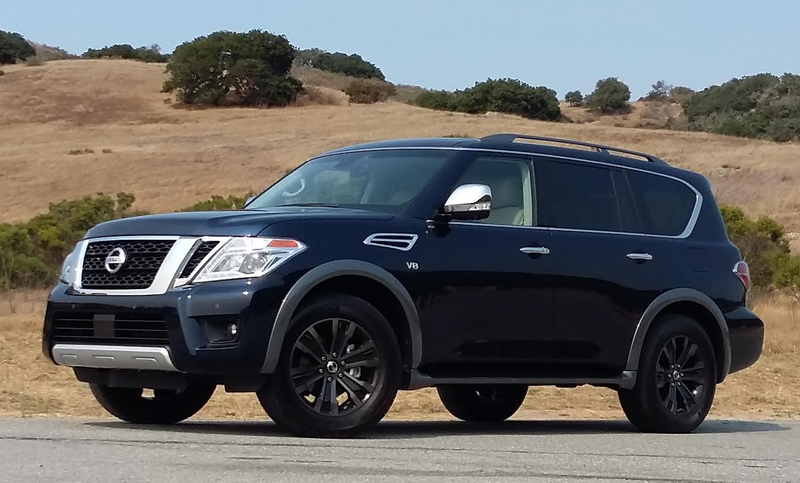 If asked what full-size SUVs they’re considering, it’s likely few potential buyers would have the Nissan Armada on their list. But now, at least, it probably should be. When you look at the significant and consistent sales figures in the segment – and the substantial profits they bring – it’s almost surprising there aren’t more choices among full-size SUVs. However, nearly all are built on “old fashioned” truck-type frames, something most manufacturers don’t dabble in any more, and the ones who do also produce a full-size pickup to share the cost. Thus the only players are the Chevrolet Tahoe and Suburban, similar GMC Yukon and Yukon XL, the Ford Expedition, the Dodge Durango (the only unibody design of the group, and some don’t consider it “full size”), and – much further down the sales-volume scale – the Toyota Sequoia and Nissan Armada. Armada gets a new body of about the same size as before, but without the odd “reverse-slant” side roof pillar that characterized its predecessor. When introduced to the U.S. market for 2004, the Armada was built on the same frame as the Nissan Titan pickup truck and assembled in the same factory in Mississippi. But after more than ten years of so-so sales, it was discontinued at the end of the 2015 model year to be reborn for 2017 with a redesign that includes revised styling, more power, and a host of new features. Unlike the original Armada, the new one is based on the long-running foreign-market Nissan Patrol and is built in Japan – though still on a truck-type frame. At about 209 inches stem-to-stern, it’s a bit longer than the previous version, putting it right between the well-known Chevrolet Tahoe (204 inches) and Chevrolet Suburban (224 inches). Its V8 engine remains at 5.6 liters, but numerous modifications raise horsepower from 317 to a rousing 390, and torque from 385 lb-ft to 394. Replacing the previous 5-speed automatic is a new 7-speed, which has a much lower first gear for quicker take-offs and a taller high gear for quieter cruising. Inside, the top-line Platinum boasts a premium look and many high-end features. As before, the Armada seats up to eight passengers in three rows, though also available are 2nd-row captain’s chairs that cut capacity to seven. Armada is offered in SV, SL, and Platinum trim levels, and with either rear-wheel drive or all-wheel drive. Standard are an auto-leveling rear suspension, tow hitch, and 8500-lb towing capacity. The new styling does away with the former (and slightly odd) reverse-slant side roof pillar and adds Nissan’s signature “V-motion” grille, along with standard LED headlights, taillights, and daytime running lights. Also added are a host of newly available features, which join previous ones to bring the Armada thoroughly up to date. Under the comfort/convenience heading, you can get (either standard or optionally) a power-folding 3rd-row seat, power liftgate, power tilt/telescopic steering wheel, power lumbar support, memory driver seat (which includes outside mirror and steering-wheel settings), heated and cooled front seats, heated 2nd-row seats, heated steering wheel, heated side-view mirrors with puddle lamps, rain-sensing wipers with de-icers, remote start, Homelink transmitter, and adaptive cruise control. Armada forgoes the current trend toward touchscreen-centered controls and instead sticks with traditional knobs and buttons — which work great. 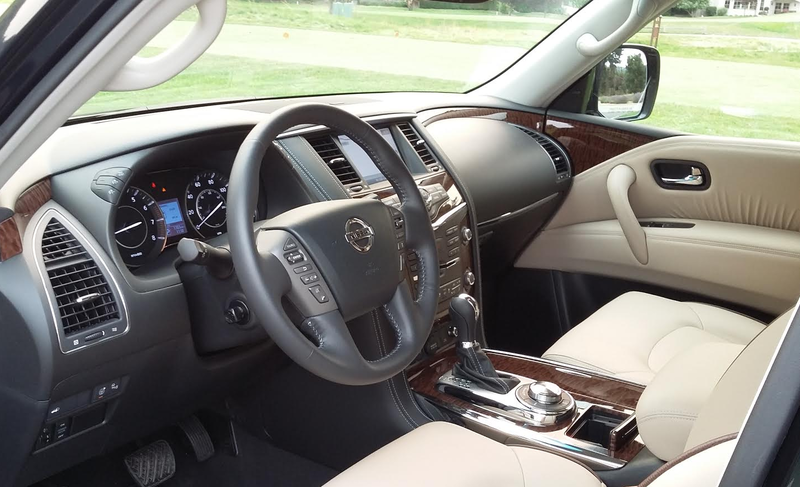 Available infotainment features include a navigation system with traffic and weather information, and an entertainment system with two headrest-mounted 7-inch screens for the 2nd-row passengers. But it’s in the safety area that most of the additions come in. Now available are forward collision warning and mitigation, lane-departure warning and mitigation, blind-spot alert, rear cross-traffic alert, and 360-degree Around View Monitor with moving object detection. 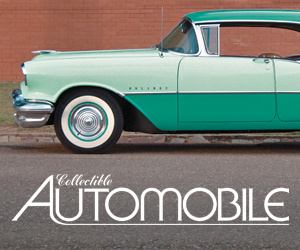 Hop inside (and I do mean “hop,” because the floor is fairly high, though running boards help shorter folks) and you’ll be surrounded by a nice-looking cabin fitted with leather surfaces, woodgrain trim, and chrome accents. Only the rather thin padding on the door tops disappoints, as most other expected surfaces are nicely padded. Visibility is OK to the front left, not as good to the front right (due to the angle of the roof pillar), and fairly good to the sides and rear, the latter helped by 3rd-row headrests that can be lowered to overlap the seat backs (which – sadly – cannot be said for those of the 2nd row). 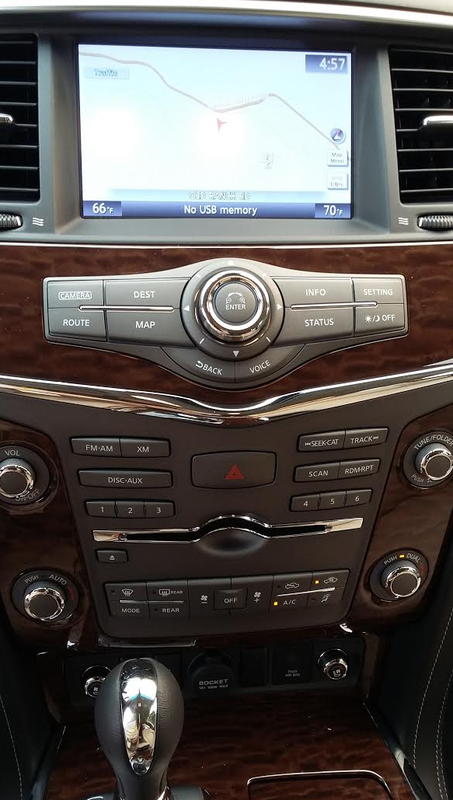 Unlike many cars today, the infotainment system (audio/navigation/phone) features good ol’ knobs and buttons, with not a console control knob in sight (though there is one for the 4WD settings). There are six physical station preset buttons that are duplicated on the dashboard touchscreen. Navigation controls are separated into their own panel, which helps avoid button confusion. All these controls are easy to reach except for the touchscreen, which is a bit of a stretch. Oddly, there is only one USB port, which we find a bit limiting in this day and age. Climate controls consist of rotary temperature knobs augmented with less-convenient repetitive-step pushbuttons for fan speed and mode. The only knob on the console controls the all-wheel-drive system. 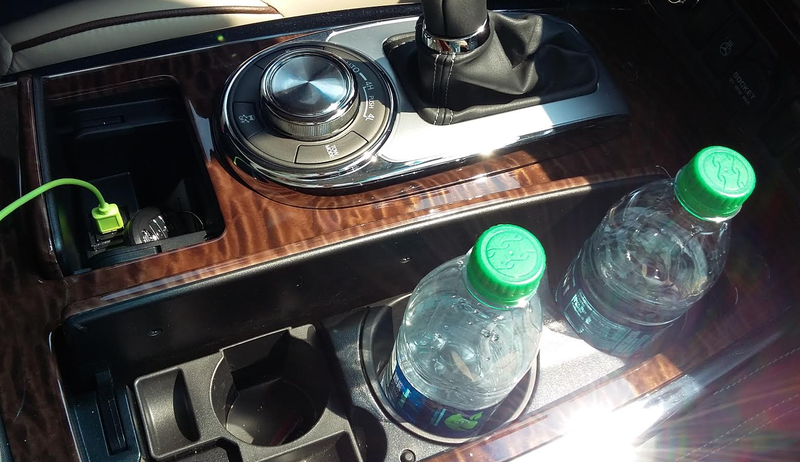 This photo shows two of Armada’s few shortfalls: the lone USB port, and large cupholders without inserts that allow water bottles to rattle around. There’s only good (rather than the somewhat expected “great”) legroom in front, but headroom is sufficient even for tall folks. By contrast, the 2nd row offers vast amounts of leg and head room. Its seats flip forward to open a large portal to the 3rd row, though an even higher floor makes it a bit of a climb to get back there. My 5’9 frame fit with room to spare, but the low seat cushion forces a knees-up posture for adults. Interior storage is quite good, with large glovebox, console box, and door map pockets augmented with a couple of small stash bins. The only drawback we noticed is that the console cupholders are fairly large and are not padded inside, leaving our water bottles rattling around even on fairly smooth roads; in fact, the cabin is otherwise so quiet that this rattle was often the loudest noise heard. Tilting the 2nd-row seat forward reveals a roomy path to the 3rd row, but also a raised floor folks have to climb up onto. 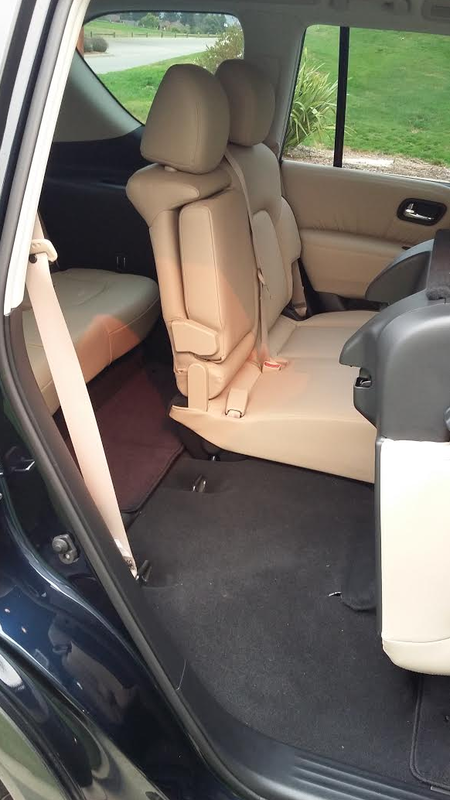 In back, the available power liftgate opens to a large cargo area that isn’t as wide as it could be at the rear. Power-fold the 3rd-row seat into the floor – under which there is a small amount of hidden space – along with the 2nd row, and you’re left with a long, flat expanse that can hold up to 95.4 cubic feet of stuff. With its new engine and transmission, the Armada is not short on power, providing a strong full-throttle jump off the line and good passing response that’s aided by a transmission that’s fairly quick to downshift. However, we noticed that small increases in speed during around-town driving often required a much deeper stab of the throttle than expected to bring on power or prompt a downshift. 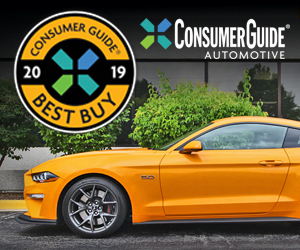 Our California test route was not the venue for evaluating ride comfort (unlike the potholed thoroughfares around our Chicagoland office), but the Armada seemed to soak up bumps with fine absorption and solid composure. Handling was decent for a big SUV, steering feel was light, and the turning radius was tighter than we expected. Also unexpected was the Armada’s off-road capabilities, which we experienced on a special course Nissan set up. Traversing some of the terrain was attempted only because … well … it wasn’t my truck. 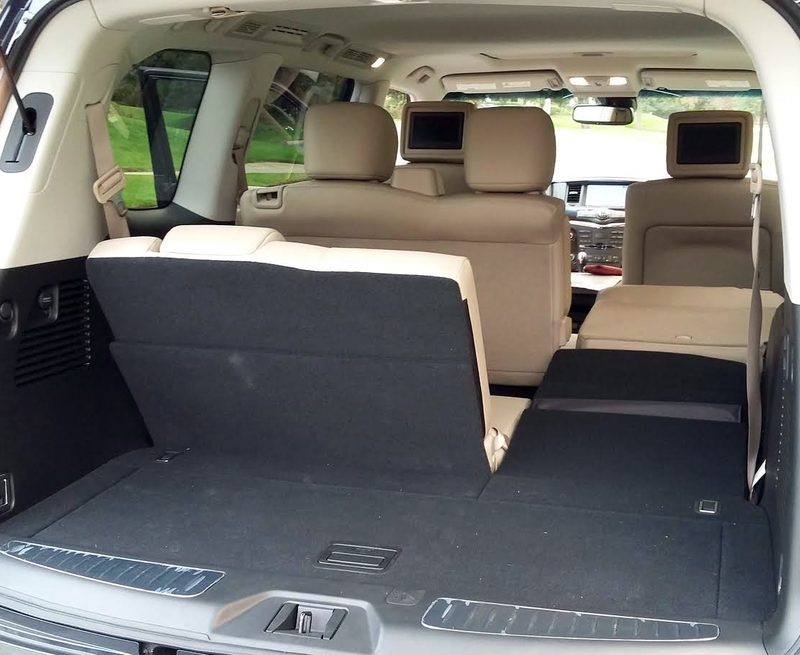 Folding the 2nd- and 3rd-row seat backs (the latter can be power-folded) leaves a long, flat-floor cargo area. Even Nissan concedes that large-SUV buyers are quite brand loyal, meaning conquest sales aren’t going to bring a major bump in Armada volume. Instead, the company feels that those moving up from midsize SUVs are the primary audience. But with all the improvements made – and the capabilities it offers – the Armada should really be given strong consideration by anyone looking for a vehicle that can seat up to eight while providing coddling comfort, lots of luxury and safety features, ample performance, and high towing limits. Even if they’ve always bought something else. Written by: Rick Cotta on August 1, 2016.on March 22, 2019.